Hello my dear readers, how are you all doing today? Have you seen the latest video AirAsia just posted on their Facebook page? It’s actually the second video of their #DareToDream campaign. 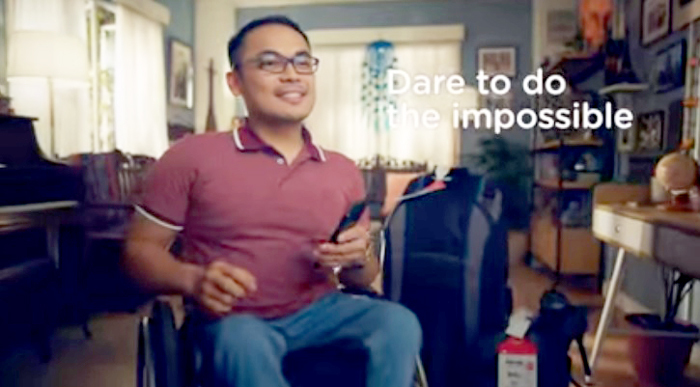 I posted a reaction blogpost of the first campaign and just in case you haven’t been following you can check it out on this post; AirAsia's dare to give back viral video, a story of love and gratitude. What made me so excited about this second video is that I know personally the person AirAsia featured here. He’s a good friend and also from Davao City. Despite him doing his graduate studies in Perth, Australia right now we still manage to see each other whenever he's back in town. He is one of those people who would look past beyond the frailties of being human. Wearing his positive hat all the time. You know sometimes in life, circumstances can get muddy despite you doing everything you could to avoid or even tread hard out of the sticky situation. Most often than not I get frustrated and upset about not being able to do the things I want to do because of conditions beyond my control. Naprey Almario is always my go-to point of inspiration. A lot, I’m caught up doing a pep talk with myself saying ‘gurl, kinaya nga ni Naprey na di makalad ikaw pa na kompleto at able ang mga paa?’ And while sometimes it won’t instantly get better, navigating difficult situations with a living inspiration often get a lot easy. This man I think caught up all the positive mojos when the heavens toss it all down a long time ago. That’s beyond doubt the reason why despite him behind his wheelchair he has chased his dreams and amazingly traveled the world, dared to do the impossible. To all my friends who are feeling so down, so helpless and so miserable these days, I hope you’ll find inspiration from my differently-abled friend, Naprey. He dared to dream, he didn’t stop chasing his dreams, he went to Bali and anywhere else, he even jumped out of an airplane, skydiving. It’s a shame really if we let all our uncertainties hinder in fulfilling our dreams. So proud of you, Nap! Always stay a positive inspiration to everyone! Let’s start chasing our dreams! AirAsia now flies Manila to Bali. Anyone up to seeing Ketot in Bali? Let's get booking here; https://www.airasia.com/.